Posts Tagged what is real anyway? 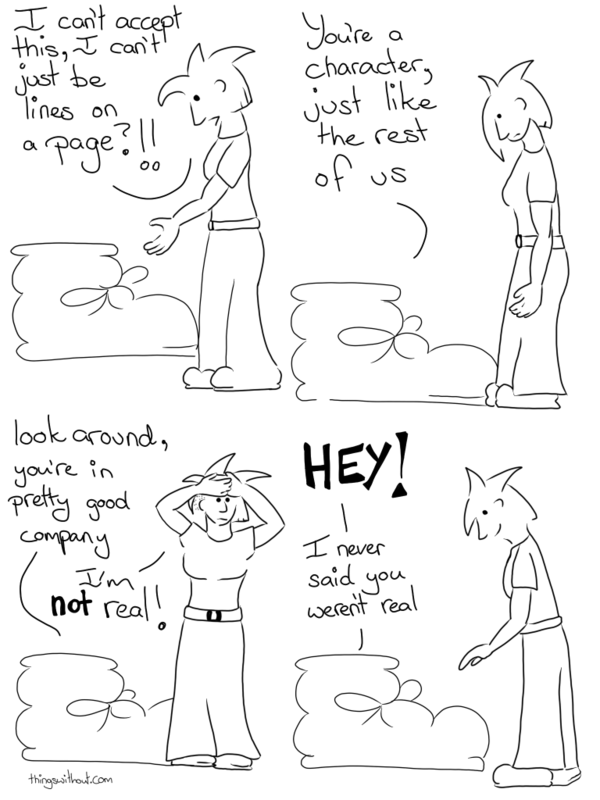 441: Not real? NOT REAL??? When I first put Liz in the comic I did not expect this! Liz: I can’t accept this, I can’t just be lines on a page?!! Boot: You’re a character, just like the rest of us. Boot: Look around, you’re in pretty good company. Boot: Hey! I never said you weren’t real. └ Tags: nature of the being, realness, tag words to encourage people to visit my website here - ughhhh this is hard I just want to go and have breakfast!, webcomic, what is real anyway?